Christmas tree with 31 mini-games ! The christmas tree has ornaments numbering from 1 to 24 which each of which represents the respective days on December. If you touch the ornaments sequentially starting from one, each one will present you with a new game! As you play the game, ornaments on that particular tree will change! 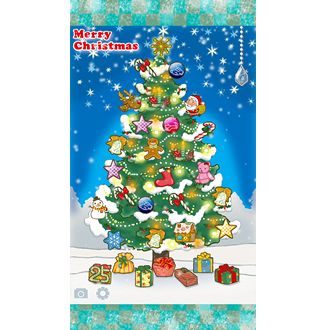 As you continue with the games, decoration for the whole tree will also change. So, let's raise your own Christmas tree! Make the face of a ginger bread man, Santa Clause...and turn them into ornaments! Start with 1, and find the next number! Can you find 4 pairs of cards? 5 differences between the pictures...look close! Put together the 5 pieces! 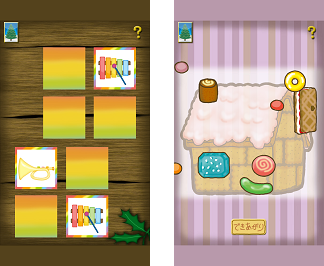 All of the above are pretty easy games, but if you are a kid you might seek help from the elders! One game that has been opened can be played any time later on. If you have a favorite tree you can even send it as christmas card! Even after 24th December, there will be something interesting for you! If you change to 'Calendar mode', from 1st December you can try one game everyday. 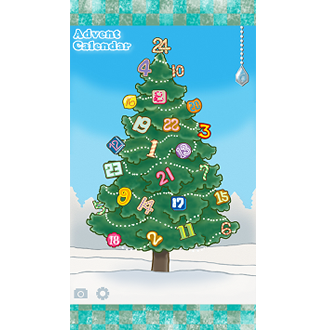 If you want to try one game each day and slowly continue your enjoying journey towards Christmas, 'Calendar' mode is recommended for you. 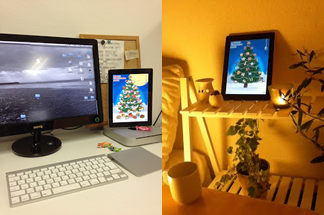 You can enjoy it both in your iPhone and iPad, but the bigger screen of iPad might make it a real treat!